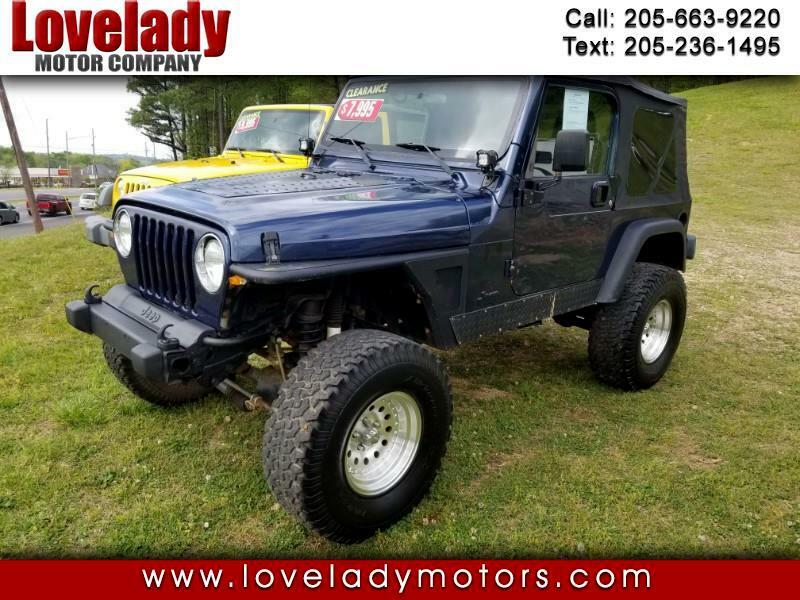 Used 2004 Jeep Wrangler X for Sale in Pelham AL 35124 Lovelady Motor Company, Inc. This is one of our wholes sale Jeeps that is sold AS-IS. The Jeep does have a few upgrades such as the front tube fenders, lift kit, 33" BFG tires, American Racing bullet hole style wheels and more! The Jeep has the 4.0L inline 6 cylinder engine and a manual transmission. The stereo has been upgraded to a Kenwood unit. Contact Stephen or Keith for more information.